-Gotta Travel On. 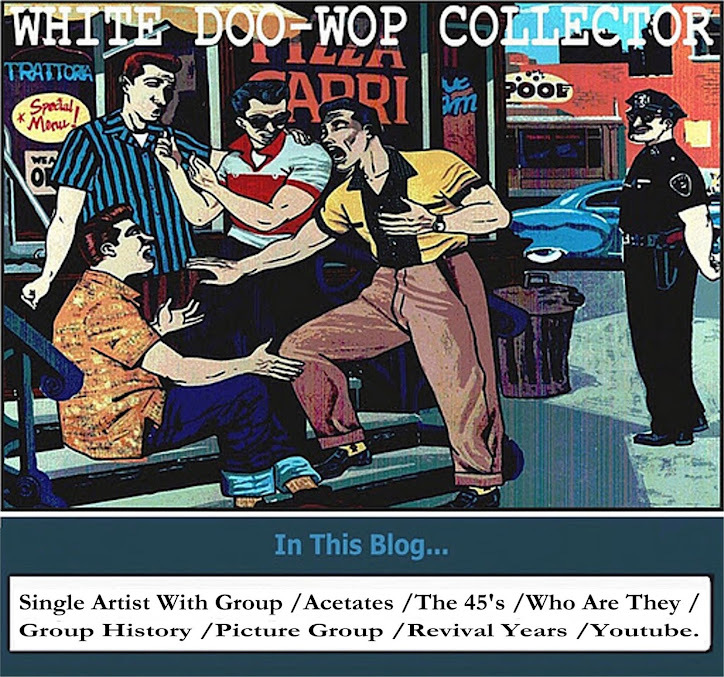 Golden Crest Records-1963. -Altar Of Dreams/Baby Don't Go Now. 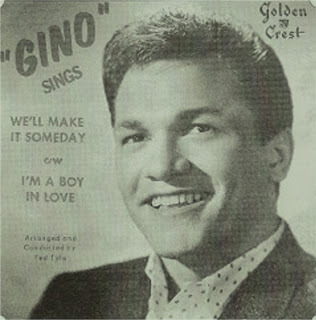 Golden Crest Records-1961. -Altar Of Dreams/Baby Don't Go Now. Golden Crest Records-1962. 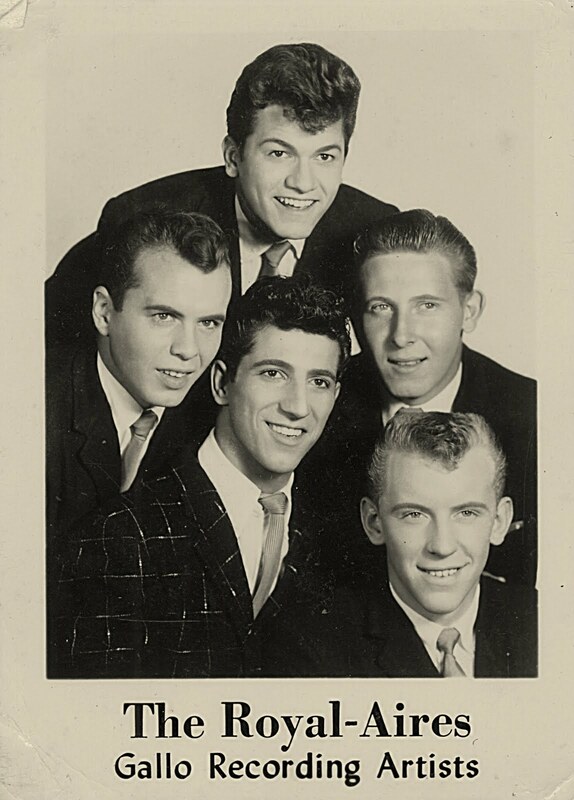 Gino & the Dells were from Eastern Suffolk County in Long Island formed by Frank"Gino"Amodeo,Peter Chacona,Louis Reyes and Augie Borgess. 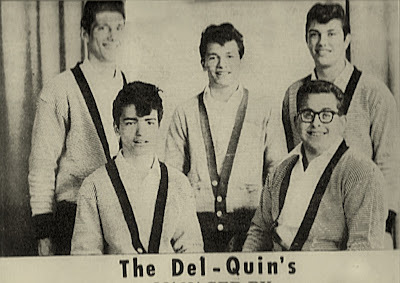 Below rare picture of Frank Amodeo and Louis Reyes first group The Del-Quin's an unrecorded group from Long Island (Frank in the center). Frank "Gino" have other recordings on Golden Crest as a solo artist and later under the name of Darin D.Anna and as Lead of the group The High And Mighty but these recordings don't are present in the doo wop guides. 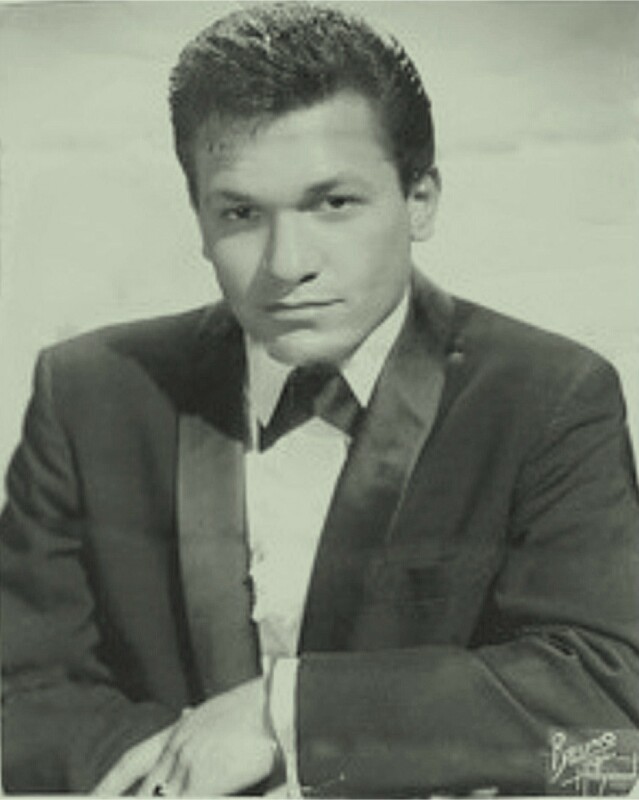 In 1966, Frank sang lead with The Reflections in their side_Like Adam And Eve. the frank amodeo with the imperials are from palisade park,susburb of detroit,michigan.This frank amodeo was also a menber of the two tones with byron Taylor.he was also a menber of the pharaohs(fascination /skylor with lyn best/bob manzagol & laroy casey.it's a different guy.